Summer typically means crowds at the beach, but it can also mean crowds in the emergency room. Whether you're training for a marathon or playing golf on the weekends, summer activities bring an increase in sports injuries. In order to prevent chronic pain and recurring health problems, I urge individuals to seek immediate treatment should an injury occur. With over 10 million sports injuries each year, prevention is vital. Sports injuries can result from improper training, lack of conditioning, insufficient warming-up and stretching or unsafe use of equipment. The longer days of summer are ideal for avid runners. However, injuries are an unfortunate part of a runner's life. Most running injuries happen when you push yourself too hard. Adding distance or speed to your running routine, running up hills, and interval training are just some of the reasons running injuries occur. Running is a great way to stay in shape. But it can take a toll on your muscles and joints. To avoid running injuries, it's all about prehab - strengthening areas that are prone to injury. Common Injury: Runner's knee is a common overuse injury and due to the kneecap being out of alignment. Over time, the cartilage on the kneecap can wear down. How to Avoid: There seems to be a threshold for runner's knee which is different for each person. Some people can run a marathon without any issues; other people can run 3 miles and experience pain. Women are more prone to develop runner's knee because women generally have wider pelvises, increasing the angle at which the bones in the knee joint connect. · Proper running shoes with adequate support. Inappropriate footwear is a leading cause of runner's knee. · When running, vary your running surfaces. Repetitive stress often causes runner's knee. If your body absorbs the shocks of running from different surfaces, your knee will receive the impact differently. · You need to run with proper form - poor posture and uneven gait might cause knee troubles. · Strengthening the core muscles of the body (abdominals, gluts) also helps to prevent anterior knee pain. SUP (aka stand-up paddle boarding) is the latest fitness craze – even celebrities like Jennifer Aniston, Rachel Bilson and Matt Damon are getting on board. It's a great way to build up your balance and flexibility. Stand-up paddle boarding gives your whole body a serious workout. From strong arm strokes that power up through your core to the balance and strength training your ankles, legs, and thighs receive, SUP is a new form of cross-training, in part because it's so low impact. Common Injury: Whether it's a past injury that nags you, the wrong size paddle, bad technique, or a combination of each, shoulder injuries are one of the top five most common injuries in paddle boarding. The shoulder's ability to move freely in so many directions makes it super-functional. Unfortunately, where there is much movement available in the body, there is a higher risk of injury. The action of paddling strengthens the larger muscles around the shoulder. These muscles when strong tend to apply upward force/pressure on the ball of the arm bone. The rotator cuff muscles when strong will apply a downward force/pressure on the ball of the arm bone. Because of regular paddling, we tend to become strong in the muscles that apply this upward force/pressure and relatively weak in the rotator cuff muscles that apply downward force/pressure. This can result in the ball of the arm bone sliding upwards in the shoulder joint compressing the space between the bones above. This places direct pressure on the rotator cuff tendons that sit in this space. If this pressure is allowed to go on for an extended period of time it can cause small tears in the rotator cuff tendons, reduce blood supply and important nutrition to the shoulder joint. Over time this leads to chronic inflammation of the rotator cuff tendons. How to Avoid: The key to preventing a shoulder injury - like most injuries in paddle boarding is keeping your body and joints in proper alignment. You'll see a lot of these types of injuries in baseball players as well, and it goes back to that motion of swinging your shoulder over your body and forcing your arm out of alignment. At Bodhizone, we treat the injury, we approach more than just the rotator cuff; we look at the whole body and try and strengthen other parts as well to keep everything aligned. 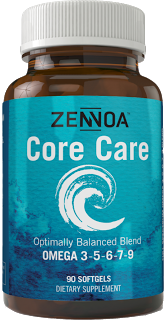 We'll put a lot of focus on strengthening your core and getting you into a proper posture. That's a huge part of the rehab. Sailing has become a popular activity and competitive sport among people of all ages and genders. It's the ultimate in aerobic exercises and strength training; and the best part about sailing is that it can be pursued as an individual sport or a team sport. However, a day on the water isn't always smooth sailing. Injuries may result from a lack of general fitness, overuse or overtraining. Many actions in sailing are sudden and sporadic, placing muscles at high risk by performing explosive, powerful moves, often when they are not warmed up. Common Injury: Lower back injuries are one of the most common types of injuries suffered by sailors. Pulling ropes, hiking, trapezing, wrestling the keel, and other job-specific roles on a sailboat can place a great deal of repetitive stress on the lower back. The limited, often awkward, space on the sailboat and the speed and intensity at which the sailor performs his or her various roles frequently contributes to lower back strains. How to Avoid: Stretching is one of the most under-utilized techniques for improving athletic performance, preventing sports injury and properly rehabilitating sprain and strain injury. Don't make the mistake of thinking that something as simple as stretching won't be effective. Other summer sports, such as tennis and golf, can cause repetitive motion injuries. For example, 'tennis elbow' is common among individuals who play tennis. One of the main causes of this injury is a result of inflammation in the elbow's tendons due to improper motion while swinging the racket. The same injury can also affect golfers who improperly swing their clubs. Repetitive motion injuries can be especially painful and difficult to treat. These summer sports injuries may occur slowly over time, until one day the pain becomes simply too great to manage. 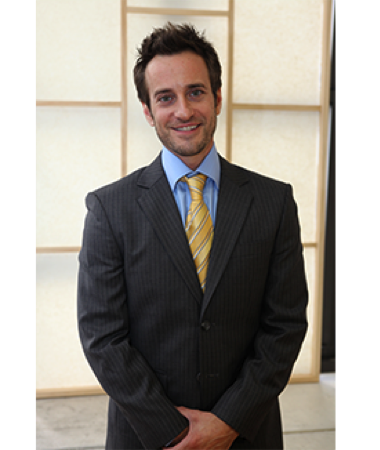 About Dr. Scott Weiss, D.P.T., A.T., CSCS. Dr. Scott Weiss is a licensed physical therapist and board certified athletic trainer in the state of New York. He is also a registered exercise physiologist, strength and conditioning specialist and advanced personal trainer with over fifteen years of experience. Scott possesses both a bachelor's and master's degree in exercise physiology and a doctorate in physical therapy. His affiliations and certifications with all the major certifying bodies domestically and internationally like the United States Olympic Committee (USOC), the American College of Sports Medicine (ACSM), National Strength and Conditioning Association (NSCA), National Athletic Trainers Association (NATA), International Federation of Sports Medicine (FIMS), American Physical Therapy Association (APTA), American Society of Exercise Physiologist (ASEP), allows him to be a consultant to collegiate, professional and Olympic athletes as well as a trainer to the stars. Throughout his career he had the pleasure and good fortune to work with some of the world's elite athletes. These include several United States Olympic Teams, National Football League (NFL), National Hockey League (NHL) and the New York Liberty-WNBA. In 2012, Scott was selected to be a member of the USOC's sports medical team for the Olympic Games in London where he provided emergency medical and physical therapy services to all our U.S. athletes. He also served in the 2004 Athens and 2008 Beijing Games. Scott's emphasis of research and area of expertise in physical therapy is rehabilitation of the knee and shoulder. As a registered exercise physiologist, his interests are in biomechanics of movement and cardiac rehabilitation. As an author and lecturer, Dr. Weiss has written a myriad of articles and has lectured in almost every university in greater New York. His lectures and articles are on the prevention of exercise injures, flexibility, weight-loss and integrative medicine. Many of these articles can be seen on this website. His clinical experience over the years fostered his ideas into research so far that he has been published in peer reviewed medical journals. Scott also lectures for both profit and non-profit organizations on exercise, nutrition, public health, safety and first aid. Dr. Weiss is involved with charitable organizations and gives his time freely to the Cystic Fibrosis Foundation, The Boomer Esiasion Foundation, Leukemia and Lymphoma Society, NY Road Runners Club (NYC Marathon), Long Island Transplant Organization and many high-schools and colleges in New York State. Scott is presently the owner and clinical director of Bodhizone for Human Performance & Sports Physical Therapy, PC. He has four offices in New York City, midtown east, upper east side, down in gramercy and in Astoria, Queens. A physical therapy or fitness session at Bodhizone is guaranteed to be unique and effective each and every time. Scott and his staff combine yoga, martial arts, sports, physical therapy and functional strength training into many of the workouts, enabling you the patient, to heal while improving your overall health and fitness level. Bodhizone specializes in creating sport specific workouts for all sports and customizing physical and fitness training sessions to meet your rehabilitation goals and needs of your body. NewYork-Presbyterian Hospital ranks No. 1 in the New York tri-state area, No. 1 in New York state and No. 7 in the nation on U.S. News & World Report's annual "Best Hospitals" survey, released today. The hospital -- one of the largest and most comprehensive in the country, with nearly 2,600 beds -- ranks third in the nation for cardiology and heart surgery, nephrology, and neurology and neurosurgery. For the 13th consecutive year, NewYork-Presbyterian is included on U.S. News' prestigious Honor Roll, which, according to the magazine, "recognizes hospitals for their rare breadth and depth of excellence." Only 18 hospitals made this year's Honor Roll, out of nearly 5,000 nationwide. In the 2013-14 survey, NewYork-Presbyterian is nationally ranked in 15 out of the 16 specialties assessed. In addition to ranking third in cardiology and heart surgery, nephrology, and neurology and neurosurgery, four specialties are ranked in the top 10: diabetes and endocrinology (No. 7), gastroenterology and GI surgery (No. 7), psychiatry (No. 4) and urology (No. 5). The hospital also ranked in cancer; ear, nose and throat; geriatrics; gynecology; orthopedics; pulmonology; rehabilitation; and rheumatology, and is recognized as "high performing" in ophthalmology. "We are delighted that U.S. News has once again recognized NewYork-Presbyterian on its Honor Roll," said Dr. Steven J. Corwin, CEO of NewYork-Presbyterian Hospital. "We are especially honored that our expertise in cardiology and heart surgery, neurology and neurosurgery, psychiatry, gastroenterology and GI surgery, and cancer were highlighted. These are among the areas where we continue to work tirelessly to alleviate the devastating impact of disease on patients and families. Together with our affiliated medical schools, Weill Cornell Medical College and Columbia University College of Physicians and Surgeons, our physicians, nurses and staff are committed to providing outstanding, compassionate and patient-centered care, training the nation's best physicians, and conducting cutting-edge clinical research. This recognition by U.S. News & World Report validates our commitment." NewYork-Presbyterian, with six campuses including NewYork-Presbyterian/Lower Manhattan Hospital (the result of a recent merger with New York Downtown Hospital), serves as a preeminent health care resource for the New York region and beyond. The hospital provides general and specialty care in all areas of medicine and surgery. It is home to the nation's largest transplant program; one of the busiest emergency departments in the country, with both a Level 1 adult trauma center and a Level 1 pediatric trauma center; the National Cancer Institute-designated Herbert Irving Comprehensive Cancer Center at NewYork-Presbyterian/Columbia University Medical Center; the newly expanded Cancer Center at NewYork-Presbyterian/Weill Cornell Medical Center, with a strong focus on precision medicine; two renowned heart centers, the Milstein Heart Center and the Perelman Heart Institute; and the Center for Autism and the Developing Brain, which recently opened at NewYork-Presbyterian/Westchester to provide comprehensive services in a single setting to address the needs of children and adults with autism spectrum disorders. NewYork-Presbyterian's pediatric services were recently recognized in the "Best Children's Hospitals" rankings from U.S. News. The hospital, which provides pediatric care at two major sites -- NewYork-Presbyterian/Morgan Stanley Children's Hospital and NewYork-Presbyterian/Phyllis and David Komansky Center for Children's Health -- was recognized for expertise in all 10 pediatric specialties assessed, more than any other hospital in the New York metropolitan area. In addition, NewYork-Presbyterian has more physicians listed in New York magazine's 2013 "Best Doctors" list than any other hospital. The rankings are published at http://health.usnews.com/best-hospitals and will appear in print in the U.S. News Best Hospitals 2014 issue, available in bookstores and on newsstands August 27. U.S. News publishes "Best Hospitals" to help guide patients who need a high level of care because they face particularly difficult surgery, a challenging condition, or added risk because of other health problems or age. Objective measures such as patient survival and safety data, the adequacy of nurse staffing levels and other data largely determined the rankings in most specialties. The specialty rankings and data were produced for U.S. News by RTI International, a leading research organization based in Research Triangle Park, N.C. Using the same data, U.S. News produced the state and metro rankings. NewYork-Presbyterian Hospital, based in New York City, is the nation's largest hospital, with 2,589 beds. In 2012, the Hospital had nearly 2 million inpatient and outpatient visits, including 12,758 deliveries and 215,946 visits to its emergency departments. NewYork-Presbyterian's 6,144 affiliated physicians and 20,154 staff provide state-of-the-art inpatient, ambulatory and preventive care in all areas of medicine at six major centers: NewYork-Presbyterian Hospital/Weill Cornell Medical Center, NewYork-Presbyterian Hospital/Columbia University Medical Center, NewYork-Presbyterian/Morgan Stanley Children's Hospital, NewYork-Presbyterian/The Allen Hospital, NewYork-Presbyterian Hospital/Westchester Division and NewYork-Presbyterian/Lower Manhattan Hospital. One of the most comprehensive health care institutions in the world, the Hospital is committed to excellence in patient care, research, education and community service. The Hospital has academic affiliations with two of the nation's leading medical colleges: Weill Cornell Medical College and Columbia University College of Physicians and Surgeons. For more information, visit www.nyp.org. How to Prevent Diabetes – I Beat It and You Can, Too! by Dr. Dorris Woods. Current statistics on diabetes are very problematic as they continue to spiral out of control. 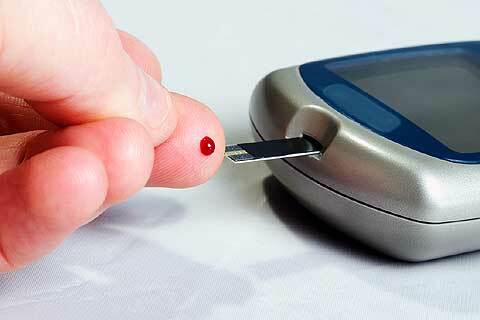 As many as 5,225 new cases of diabetes are diagnosed each day according to the American Diabetes Association. This is hardly surprising. The Centers for Disease Control and Prevention (CDC) estimates that as many as 79 million adults in the United States are pre-diabetic, a condition that increases the risk of developing type II diabetes. In addition, the CDC estimates that another 26 million adults in America already have diabetes. While Native Americans, Asian-American, African-Americans and Mexican-American are at higher risk for developing the condition due to genetics, adults over 45 years of age are also at risk. "Pandemic levels of obesity have triggered epidemic levels of diabetes. Many serious conditions such as heart attacks, strokes, kidney failure, and amputations are related to diabetes," says Dr. Woods. "Millions of people are not aware they have diabetes, or are pre-diabetic." A highly successful medical professional, college professor, and author, Dorris Woods, Ph.D., is a registered nurse and a diabetes educator currently. She is on a mission and intensely involved as a diabetes prevention catalyst. She holds a license in advanced clinical practice in nursing. She also holds a bachelor's degree in Nursing and Psychology from Indiana University, a bachelor's degree in Psychology from Regents College, two master's degrees from UCLA – one in Pediatrics and Nursing Administration, and the other in Mental Health. Additionally, Dr. Woods holds a master's degree in Counseling from California State University, Los Angeles, as well as a Ph.D. in Higher Education Administration from Claremont Graduate University. Dr. Woods ranks among the top five percent of people educated in America holding six college degrees. She was listed in Who's Who Among Women in American. Dr. Woods is also the author of the book, Breaking Point: Fighting to End America's Teenage Suicide Epidemic. Throughout her career, she has written articles and conducted workshops on the topic of teenage suicide. With a diverse ethnic background, Dr. Woods was born and raised on a farm in central Mississippi with twelve siblings. Currently, she lives in Culver City, California with her loyal canine, Cookie. She is a widow and the mother of three children. She loves to read and travel in her spare time. How to Prevent Diabetes – I Beat It and You Can, too! is now available on Amazon andBarnes and Noble. E-books are also available on Kindle. Vitamin D-deficient older individuals are more likely to struggle with everyday tasks such as dressing or climbing stairs, according to a recent study accepted for publication in The Endocrine Society's Journal of Clinical Endocrinology & Metabolism (JCEM). "Seniors who have low levels of vitamin D are more likely to have mobility limitations and to see their physical functioning decline over time," said the study's lead author, Evelien Sohl, MSc, of VU University Medical Center inAmsterdam, theNetherlands. "Older individuals with these limitations are more likely to be admitted to nursing homes and face a higher risk of mortality." While the majority of the people in the older cohort's top two vitamin D groups did not report any physical limitations, 70 percent of the people with the lowest vitamin D levels had at least one limitation. "The findings indicate low vitamin D levels in older individuals may contribute to the declining ability to perform daily activities and live independently," Sohl said. "Vitamin D supplementation could provide a way to prevent physical decline, but the idea needs to be explored further with additional studies." The article, "Vitamin D Status is Associated with Functional Limitations and Functional Decline in Older Individuals," was published online July 17. Exposure to perfluorinated chemicals is linked to changes in thyroid function and may raise the risk of mild hypothyroidism in women, according to a recent study accepted for publication in The Endocrine Society's Journal of Clinical Endocrinology & Metabolism (JCEM). Perfluorinated chemicals, or PFCs, are compounds used to manufacture fabrics, carpets, paper coatings, cosmetics and a variety of other products. Among humans and wildlife, PFC exposure is widespread, according to the National Institutes of Health's National Institute of Environmental Health Sciences. Because these chemicals break down very slowly, it takes a long time for PFCs to leave the body. "Our study is the first to link PFC levels in the blood with changes in thyroid function using a nationally representative survey of American adults," said one of the study's authors, Chien-Yu Lin, MD, PhD, of En Chu Kong Hospital in Taiwan. Women who had higher levels of a PFC called perfluorooctanoate (PFOA) in their blood tended to have elevated levels of the thyroid hormone triiodothyronine (T3). The study also found an increase in levels of T3 and the thyroid hormone thyroxine (T4) in women with higher concentrations of the PFC perfluorohexane sulfonate (PFHxS) in their blood. The levels rose without the pituitary gland signaling the thyroid to produce more hormones, which is the body's natural mechanism for adjusting thyroid hormone levels. Men exposed to higher amounts of PFHxS, however, tended to have lower levels of the T4 hormone. Even though people with a history of thyroid diseases were excluded from the study, researchers found an association between subclinical, or mild, hypothyroidism and elevated levels of PFOA, PFHxS and perfluorooctane sulfonate (PFOS) in women. Hypothyroidism occurs when the thyroid gland does not produce enough hormones and can cause symptoms such as fatigue, mental depression, weight gain, feeling cold, dry skin and hair, constipation and menstrual irregularities. This relationship needs to be explored and confirmed through additional research, Lin said. The researchers analyzed data from 1,181 participants in the 2007-2008 and 2009-2010 National Health and Nutrition Examination Survey (NHANES), a population-based survey conducted by the Centers for Disease Control and Prevention (CDC). The study reviewed levels of four different PFCs as well as thyroid function. "Although some PFCs such as PFOS have been phased out of production by major manufacturers, these endocrine-disrupting chemicals remain a concern because they linger in the body for extended periods," Lin said. "Too little information is available about the possible long-term effects these chemicals could have on human health." Other researchers working on the study include: L. Wen of En Chu Kong Hospital, L. Lin and T. Su of National Taiwan University Hospital and P. Chen of National Taiwan University College of Public Health. The article, "Association between Serum Perfluorinated Chemicals and Thyroid Function in U.S. Adults: the National Health and Nutrition Examination Survey 2007-2010," was published online July 17. Anorexia nervosa is a serious and potentially life-threatening condition. The Hormone Health Network's patient education fact sheet Anorexia describes the risk factors for this condition and explains the serious health problems it may cause, including heart complications, dehydration and malnutrition, anemia, and tooth decay. The fact sheet outlines risk factors for and warning signs of anorexia, and encourages patients and their loved ones to get help from a team of health care providers, including a physician, mental health professional and dietician. ### Founded in 1916, The Endocrine Society is the world's oldest, largest and most active organization devoted to research on hormones and the clinical practice of endocrinology. Today, The Endocrine Society's membership consists of over 16,000 scientists, physicians, educators, nurses and students in more than 100 countries. Society members represent all basic, applied and clinical interests in endocrinology. The Endocrine Society is based in Chevy Chase, Maryland. To learn more about the Society and the field of endocrinology, visit our site at www.endocrine.org. Follow us on Twitter at https://twitter.com/#!/EndoMedia. By Angi H. It has been raining off and on here in Texas for the last 3 days. It has been such a nice break from the heat and humidity. I figured that with all the rain and the temperature in the low 70's that it was a perfect time to make Rainy Day Picnic Soup. This recipe has been in our family for years. I remember eating it while growing up. This recipe does not need to be eaten on a rainy day but it sure is fun to because it goes with the name. This recipe has a few different variations between us family members. The original recipe doesn't have meat in it. I prefer a more hearty soup so I add it. My sister will add stewed or canned tomatoes to her recipe. I have also made this recipe Gluten-free by using gluten-free noodles instead of regular noodles. Enjoy! 1lb hamburger or other ground meat of your choice. Cooked and drained. Place all ingredients in pot. Bring to boil and then simmer for 30 minutes or until noodles and vegetables are cooked. *I have used frozen corn and frozen carrots before. Works just as well as the canned stuff. You do not need to add extra water when using frozen vegetables. 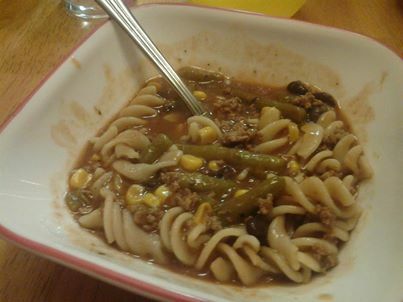 **The original recipe calls for 1 cup of noodles but I prefer more so it make it a more thicker chili than a runny soup. 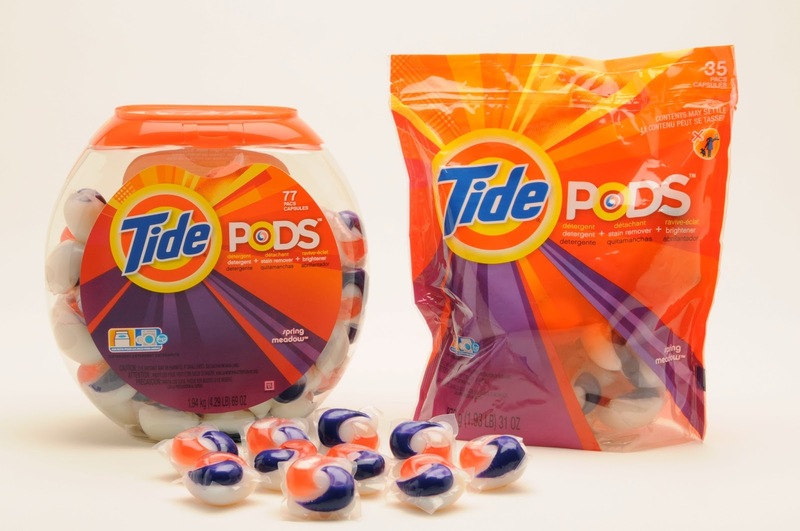 "We have learned that Procter & Gamble has decided to redesign the packaging of Tide Pods, its single-load highly concentrated laundry detergent packets. The American Association of Poison Control Centers and America's poison centers commend Procter and Gamble for this decision and call on other manufacturers of similar products to do the same. "The Procter & Gamble product had been sold in clear packages in which the colorful packets were easily visible to children. Making the packaging opaque hopefully will help reduce the temptation of children to get into the product. "In May 2012, poison centers first alerted the public about children 5 and younger becoming very ill after exposure to single-load laundry packets sold by several manufacturers. Since January 1 of this year, poison centers have managed nearly 5,000 cases of children 5 and younger exposed to laundry packets of various brands. "New packaging alone won't protect young children from these products. It's also important for parents and caregivers always to keep laundry detergents locked up high and out of the reach of children, to follow the instructions on the product label, and to call their local poison center at 1-800-222-1222 immediately if they suspect a child has been swallowed some of the detergent or gotten it into his or her eyes." More information about single-load laundry detergent packets is available on the AAPCC website at http://www.aapcc.org/alerts/laundry-detergent-packets/. For more information, the media may contact Loreeta Canton, director of public relations and member services, at 703.894.1858 or canton@aapcc.org; or Brett Schuster, communications associate, at 703.894.1858 or Schuster@aapcc.org. The AAPCC supports the nation's 57 poison centers in their efforts to prevent and treat poison exposures. Poison centers offer free, confidential medical advice 24 hours a day, seven days a week through the Poison Help Line at 1-800-222-1222. This service provides a primary resource for poisoning information and helps reduce costly emergency department visits through in-home treatment. To learn more, visit www.aapcc.org, like us on Facebook, follow us on Twitter, or read our blog at aapcc.wordpress.com. To join your voice with other poison center supporters, register for the AAPCC advocacy network at www.capwiz.com/aapcc – click on "Action E-List."